Well I was always going to love this but it's actually even better than I was expecting. I love that (aside from Mr. Brightside being ahead of Somebody Told Me) it's in the chronological order of single release and the tracklisting is pretty much as perfect as it could have been. Bones is one of their weaker singles, so I don't mind having that missing at all and I prefer that For Reasons Unknown was included. I love that A Dustland Fairytale was included instead of This Is The World We Live In. And while I adore Here With Me, if it's a choice between having that or The Way It Was on here, then there's no contest. The Way It Was easily. I also love the two new tracks and think that they fit in so very well. The only thing that's missing that I would have liked to see included is Tranquilize, perhaps in place of For Reasons Unknown, but then I often forget about it anyway and indeed only just realised a few minutes ago that it hadn't been included so it's clearly not worrying me much at all. All up, this is probably my favourite thing released this year and a perfect way to cap off a magnificent decade from my favourite band. Bis auf Spaceman kein Song den ich zu ihren Best-of (wie Midnight Show, Shadowplay, Uncle Jonny, Sam's Town, Four Winds und Everything will be alright) zählen würde. That Calvin Harris remix!? I'm in love! Meine Lieblingsgruppe ist das nicht, aber die Musik, die ist okay. Solides Entertainment für Zwischendurch - unverbindlich und solide. Niet echt handig qua promo als de band zelf niet zo tevreden lijkt. Ergens hebben ze gelijk, want dit album kom iets te vroeg. Beetje overbodig dus nu al, maar de muziek is wel in orde. Nun, hier drängt sich natürlich die Höchstnote auf. Das Beste der Killers aus nunmehr vier Alben, wobei die neueren Werke mit Sicherheit höher zu gewichten sind. Eine prima Platte auch für unter den Weihnachtsbaum. Die Killers haben sich über die Jahre eine solide Fanbase aufgebaut. Ich gehöre ehrlicherweise nicht dazu, kenne eigentlich nur ihre Charts-Hits. Eine Ära der Supergruppe neigt sich dem Ende! Titel ist passend und witzig. 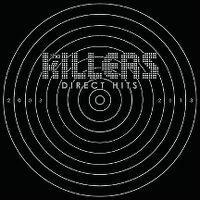 Nicht GREATEST HITS oder BEST OF sondern DIRECT HITS im Sinne von DIREKTSAFT ! Die Band hatte schon sehr viele tolle Songs. Drei tolle Alben, sehr viele Hits. Doch dann kam das relative Flopalbum BATTLE BORN und die Karriere der Superband bekam erste Risse. Vor einigen Jahren hätte ich gesagt, dass sich die Band so entwickeln würde wie eine Art QUEEN der 2000er jahre. Doch nun bekomme ich Zweifel. vor allem die Songs der drei ersten Alben sind mehr als empfehlenswert der Rest ist ok. It's always very hard to critique a GH package especially when you're a fan of the artist supplying the material. Personally i'm not a fan of running these in chronological order and tend to play my favorites first anyway. I would've preferred 'Bones', 'The World We Live In' & 'Here With Me' in this compilation but what would I know? 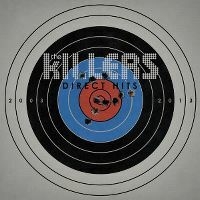 So yes it's a Killer greatest hits package (pun intended) but it's not perfect for me.